Don’t hassle me. Just let me read the menu. If I’m thinking of going in to a restaurant for a meal, I want to be able to look at the menu in peace first and then make up my mind. Is it just me? How about you? In some parts of the world they won’t let you do that. 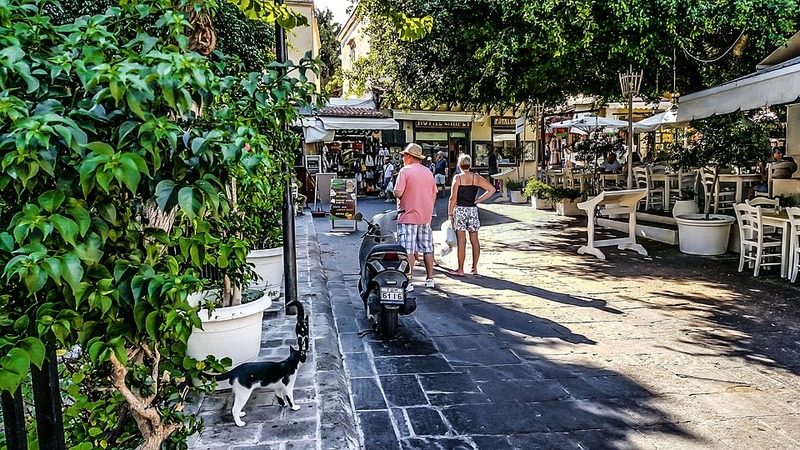 We recently had a week in Corfu where several restaurateurs lost our business by being too pushy. I suppose they’re afraid that you might look at what they have on offer and then wander off to a competitor to compare offers. Well, indeed you might. That’s business. So they try to ensnare you. The waiter pounces on you and starts a conversation. Not just a friendly hello, which would be fine. He tells you his name is Spiros or whatever and wants to know your name and whether you’re travelling alone or how many people will be wanting a table. He gently pushes in front of you and leafs through the menu for you, telling you how wonderful everything is, giving needless descriptions (gee, thanks, I always wondered what an octopus was), and wants to know will you come in now or will you book a table for later? To which the answer is, of course, no. I might have done if you hadn’t scared me off, but there’s no chance now. You’ve just reduced your chances of selling to me from about twenty per cent to nil. Well done. So it is with many websites. If I’m thinking of buying someone’s product or service, I want to be able to look at their website menu in peace first and then make up my mind. (I’ll ask if I have any questions.) Is it just me? How about you? A lot of website owners don’t get it. A lot of websites behave like pushy waiters. They’re afraid that you might look at what they have on offer and then wander off to a competitor to compare offers. These are the digital equivalent of a waiter who wants to know who you are and how many people are in your party, won’t leave you in peace to read the menu, and tries to cajole you. Like restaurants, websites that do these things are in danger of simply driving customers away.